Way back when, our community was the innovative, entrepreneurial and modern location. First to offer telephones in individual hotel rooms, first to house a flight attendant school, first to have extensive transportation cooridors including all forms; roads, rail and air. Now, Cheyenne is on the cusp of something wonderful with planes. Skywest, service provided by American Airlines, is offering two flights a day to Dallas/Fort Worth route. By securing this route Cheyenne’s business community will be served by this commercial service. It will be a great resource for the oil and gas industry, for our government offices who have regular visitors and of course for those who also want to travel for leisure and see a family member. When I moved to Cheyenne in 1992 it was to attend the Cheyenne Aero Tech School. 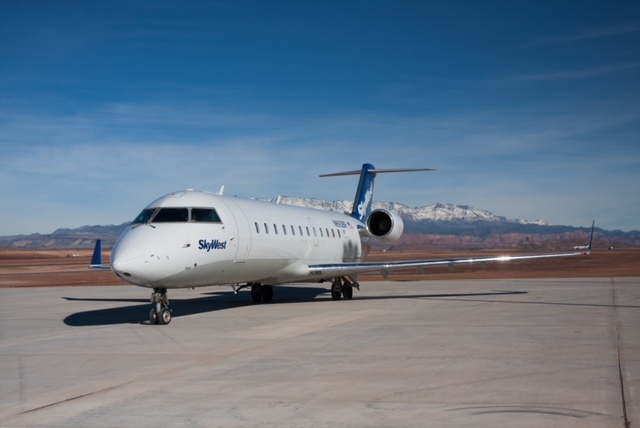 Having the new airport terminal and Skywest in Cheyenne should provide some additional jobs in the community, to include some air frame and power plant mechanics on site. So, having air service to Cheyenne has a special place in my heart too. We are most proud of being a part of the initiative which brought this opportunity to Cheyenne. We are Wyoming Wranglers. What does this mean? We advocate at all levels of government for community and economic development. We invest our time, talents and passions towards pursuing a better Cheyenne. We want to strengthen the community for which we live and offering an air service will bring visitors to our community, who will be spending money and potentially become residents in the future, sounds like a WIN in our book. Flights will begin November 4th and you can already reserve your seat for a flight HERE.